Few things can tear at our hearts like a child needing medical treatment. Thankfully in South Florida, we have some of the best medical facilities to help our children. For more than 50 years, the Miami personal injury attorneys at the Wolfson Law Firm have helped families injured at Miami Children’s Hospital and those who were treated at Miami Children’s Hospital. The Miami offices of the Wolfson Law Firm are located close by to Miami Children’s Hospital. If you or your child were hurt at Miami Children’s Hospital or received medical treatment at Miami Children’s Hospital for your child’s injuries caused by the negligence of someone, then that is the time when you should call the Miami Children’s Hospital accident lawyers at the Wolfson Law Firm. All consultations are free and confidential. Just call our accident attorneys in Miami at 305-285-1115 and let us answer your important questions. Miami Children’s Hospital, now Nicklaus Children's Hospital as of 2015, is a private hospital in Miami, Florida. It is a pediatric hospital, meaning that it specializes in the care of children and babies. It is located at 3100 SW 62d Avenue in Miami. Originally called Variety Children’s Hospital when it opened in the 1950s, Nicklaus Children’s Hospital has been part of Miami in its 65 years operating in children’s health. It is part of the Miami Children’s Health System, which provides care for several hospitals and foundations specifically geared towards children’s health. It has 289 beds with more than 600 attending doctors and over 125 sub-specialists in pediatrics. Nicklaus Children’s Hospital employs more than 3500 people and as such, it is one of the largest employers in Miami-Dade. The hospital is regularly ranked among the best in the country. If you or your children were injured at Nicklaus Children's Hospital, then you really should contact the Nicklaus Children's Hospital Accident Lawyers at the Wolfson Law Firm in Miami. You never pay a fee unless you recover. Call us at (305) 285-1115 and talk with a Nicklaus Children's Hospital accident and injury attorney right now. At the Wolfson Law Firm, our personal injury attorneys and wrongful death lawyers in Miami, Fort Lauderdale and West Palm Beach are available to you and your children. 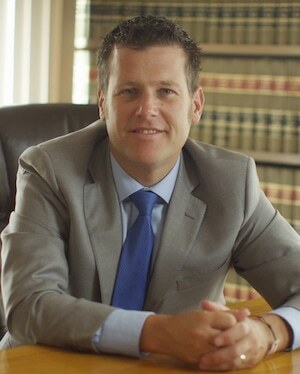 Our managing trial lawyer, Jonah Wolfson, is a bilingual accident attorney who serves South Florida. Just call us at (305) 285-1115 for your free consult so you can get the answers and justice that you and your children are entitled to. The Miami accident attorneys at the Wolfson Law Firm provide personal injury legal representation to the people of South Florida such as Kendall, Doral, Miramar, Weston, Palm Beach Gardens, Kendale Lakes, Hialeah, Davie, South Miami, Pembroke Pines, Coconut Grove, Plantation, Homestead, Coral Gables, Deerfield Beach, Miami Beach, Hollywood, Tamiami, Sunrise, Westchester, Aventura and Boca Raton.